Whether you are purely in it for the investment, or you just like houses with “potential” like I do, buying a fixer-upper is a major decision. In a perfect world, everything runs as smooth as silk. You buy a house, do a few repairs here and there, design it to your taste, and either sell it for twice the money you invested or live there for the rest of your life. In this dimension, the plumbing needs replaced, the light fixtures and power to the microwave flash on and off spookily, and an uneven crack has formed from one side of the concrete patio slab to the other. Did you see that episode where the girl decided to flip houses in a traditional Cuban neighborhood in Miami? Her first project was haunted by the spirit of an old lady who practiced Santeria and didn’t like change. Uh huh. There were altars hidden in the walls. 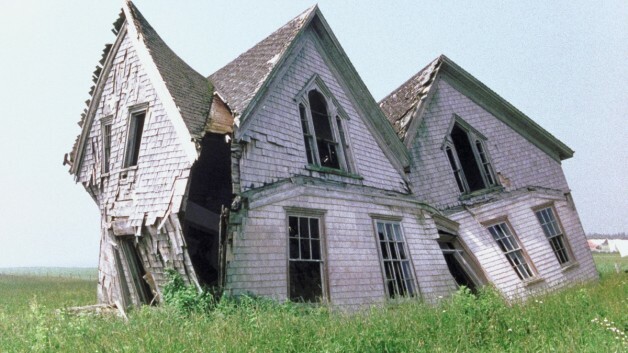 So before you start feeling like your fixer-upper is cursed, here are a few tips to consider before sealing the deal on your new old home. Can It Stand On Its Own Two Feet? Of course not. Houses don’t have feet. Even if they are on concrete blocks, that would be more than two feet. Point being, major structural damage is a no-no. Unstable or cracked foundations or a roof-gone-bad will drain your financial resources with a quickness. Suppose you find an irresistable historic house that once gave shelter to the Duke of So-and-So on a rainy night in 1792. You have plenty of money in the bank. Go for it. Otherwise, hire a professional structural engineer to inspect your prospective home before going for broke. of property is worth a try. Disclaimer: This does not apply to everyone. During the housing market collapse, wise investors were quick to jump on foreclosed properties in low-income areas, where many of them received an assured rental income by way of housing vouchers. But, then, wise investors are not out to make a quick buck. They know how to hold and they know how to wait. More on that later. Maybe you are handy with a hammer. You may have been in the DIY scene for years. One important thing to remember when buying a home that needs TLC — don’t overestimate your skills. Trying to connect the red wire to the white wire might land you in the hospital. Consider what kind of experts you have on speed dial. Electricians? Plumbers? Carpenters? Try to find a house that needs repairs you can fix yourself, or that you have a budget-friendly back-up team for. The estimated renovation cost plus any minor surprises should always figure into your original cost analysis. Now, for the good news. You can save thousands buying a fixer-upper. The HUD 203(K) program offers FHA guaranteed loans for homes that need repair. The loan covers the purchase of the property, remodeling expenses, and closing costs, with some left over for unforeseen repair expenses. If you can’t actually live there while renovations are taking place, you can choose to include up to six mortgage payments in the loan to cover the time it will take to make the house habitable.